You have hit the retirement age and want to pack up and get travelling.But what RV is the best for you? Each person is different and you may require certain things that others may not. However, there are always different options out there. 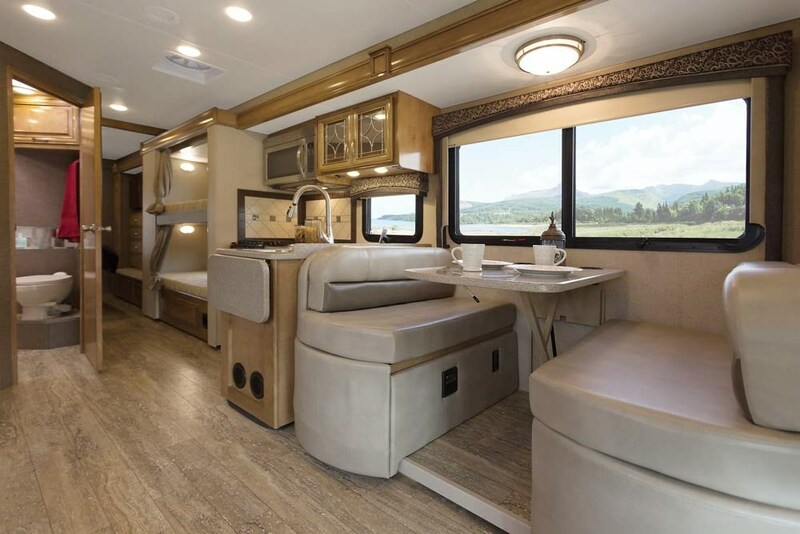 It may come down to desire more than need, but the best thing to do is shop around, find a great deal and buy the RV that will make you happy and comfortable. Not only that, but we will list a couple of the best RV’s for retired couples. Picking the right RV can be a tough decision. There are so many classes, models and variations that can accommodate for different people. 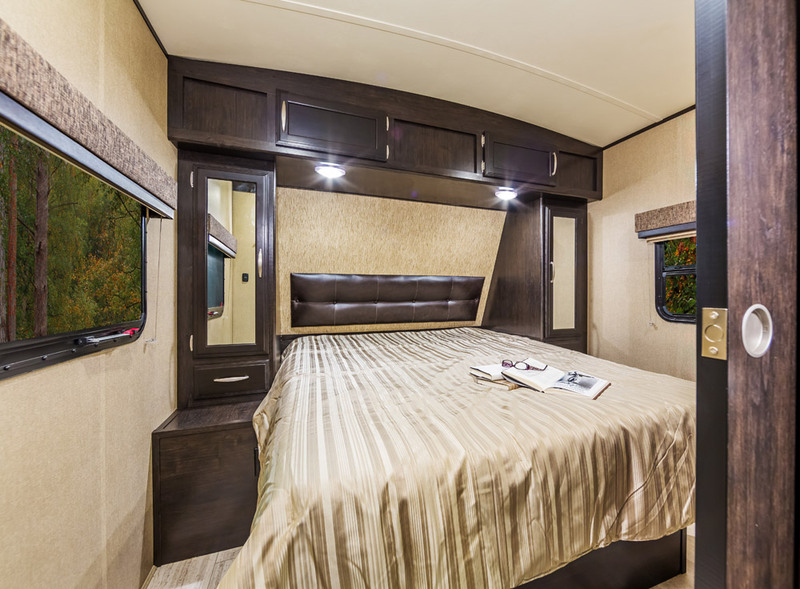 Does it have a big enough bedroom, what is the kitchen like, is there much storage space… This can cause a lot of confusion and often lead to people buying the wrong RV. However, below will be some information on the types of RV, the different classes and what you should look for. 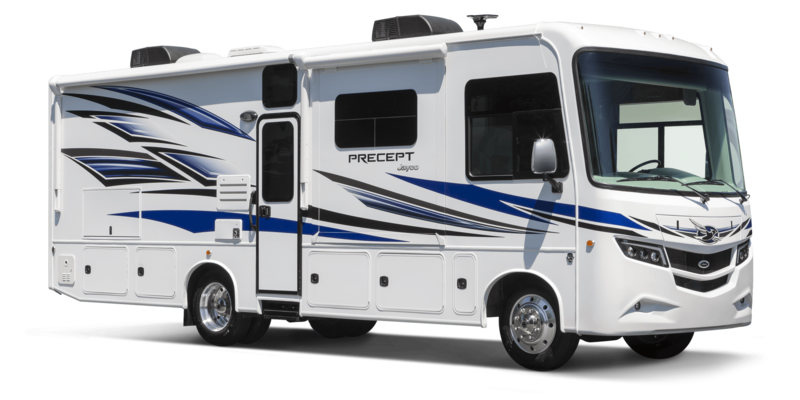 There are a ton of different classes of Recreational Vehicle. Below I will list the main ones and what the pro’s and cons are of each class. Class A – A class A RV is one that tends to resemble a bus. 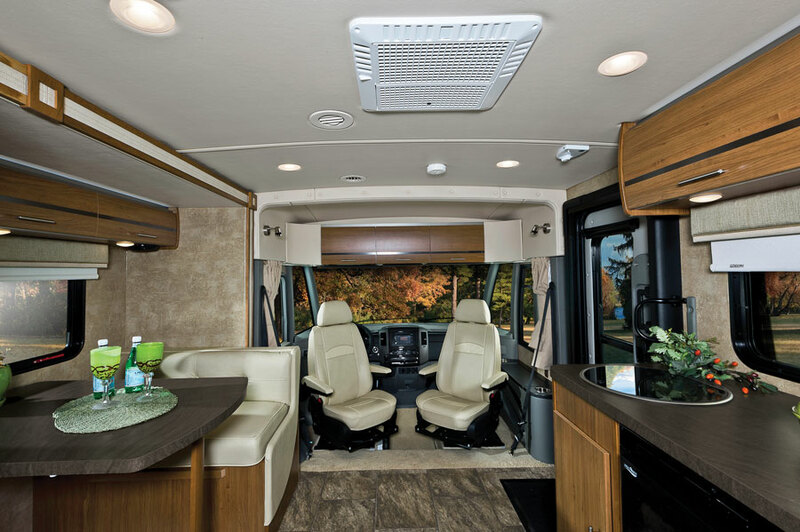 Many Class A RV’s are in fact bus conversions that are known as the best of the best. 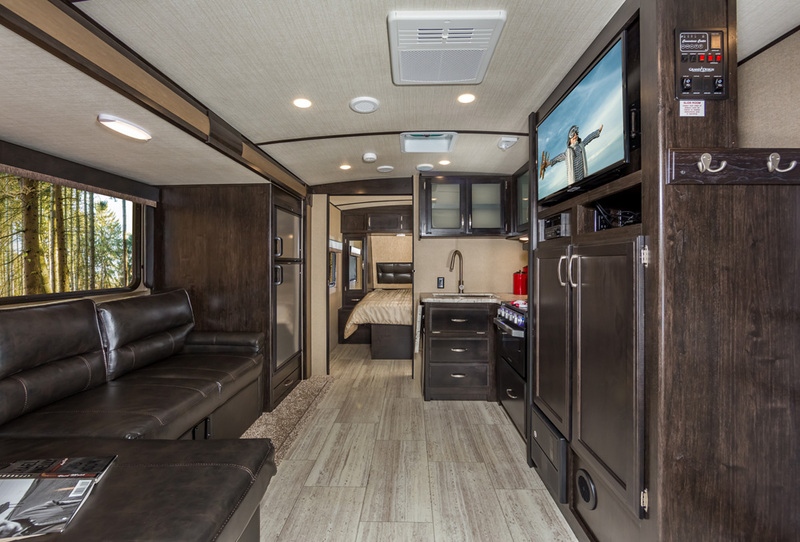 These RV’s often go for a lot of money due to the luxury components that are installed. 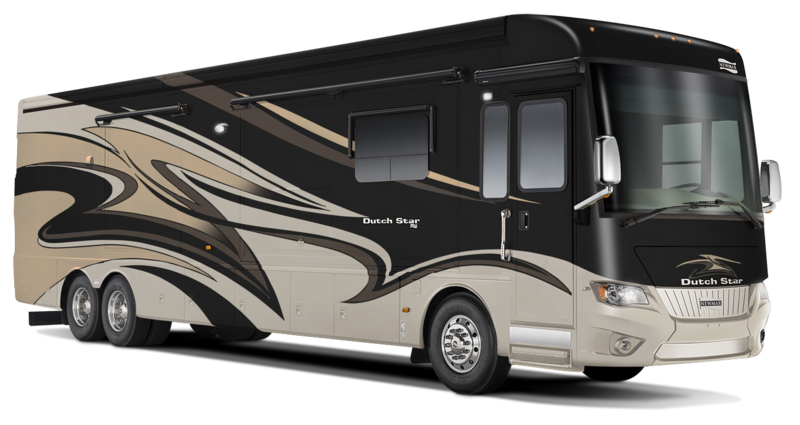 You can also get Class A diesel RV’s that are exactly the same in style, however, they are powered by diesel engines. 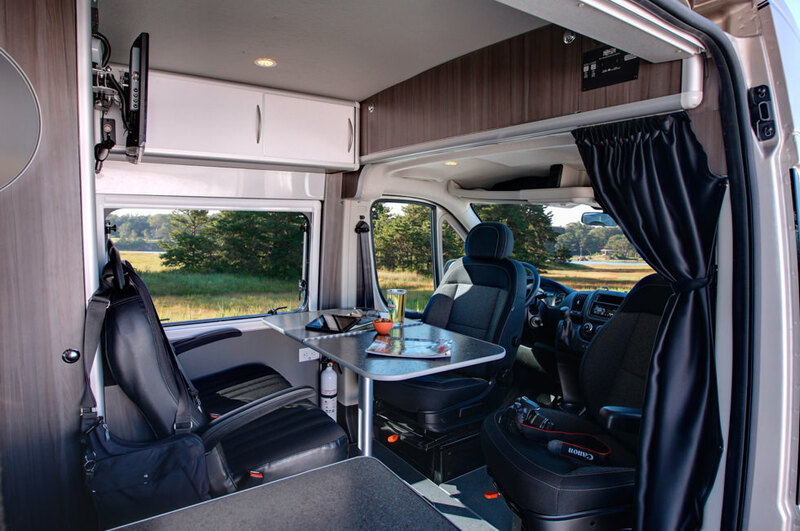 Class B – If you have ever seen a conventional van that has been converted into an RV? Then this is what a class B RV is. You will usually see bigger vans such as Ford Transits, Iveco’s etc. that have been converted with all the usual features. Class C – Class C motorhomes are you usual RV’s. They are usually built upon a bare truck platform and are mostly petrol engines. However, over the years, people have started converting to propane and diesel engines. Other classes of RV – Truck camper, Popup camper, Travel trailer, teardrop trailer, hybrid trailer and many more. There are 3 main types of RV vehicle that people will choose. 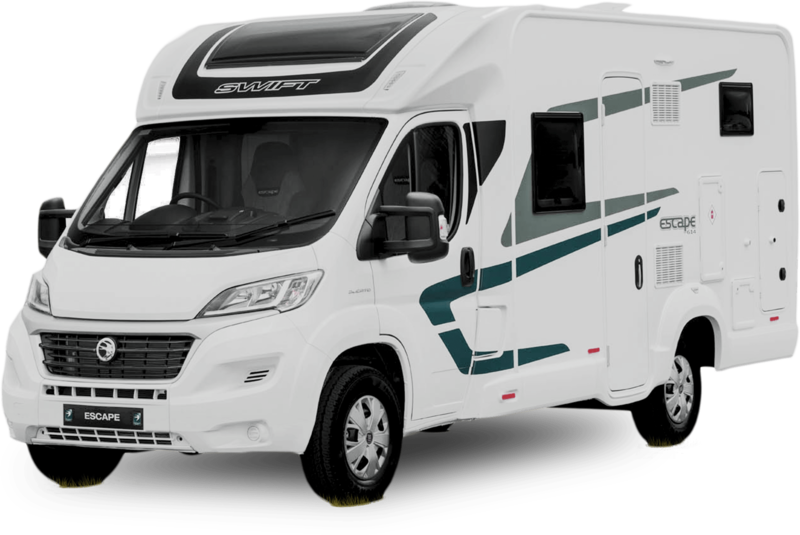 Motorhome – A motorhome is what you would expect to find in the Class A, B and C categories. These are all in ones that include the living quarters and the cockpit in the same vehicle. Travel Trailer – A travel trailer is a trailer that attaches to another vehicle. This means that the person can drive their normal vehicle while pulling the travel trailer. Once parked up, the trailer can be disconnected and reconnected when needed. Fifth Wheel RV – This type of trailer requires a special rear mount to add stability while driving. You definitely need a powerful truck to pull one of these as they can come in sizes up to 40 feet long. There are positives and negatives with both renting and buying an RV. Renting an RV can end up being very costly in the long run, however, you can return it once you have been on your travels. On the other hand, buying will mean one large cost and no returning (unless under certain circumstances). However, each can work out. Renting can be a costly way to go about getting an RV. However, there are some positives with renting. Firstly, it is a brilliant idea to rent an RV to figure out what the best retirement RV is. You aren’t tied down to that single vehicle, so you can find the best RV for a retired couple. 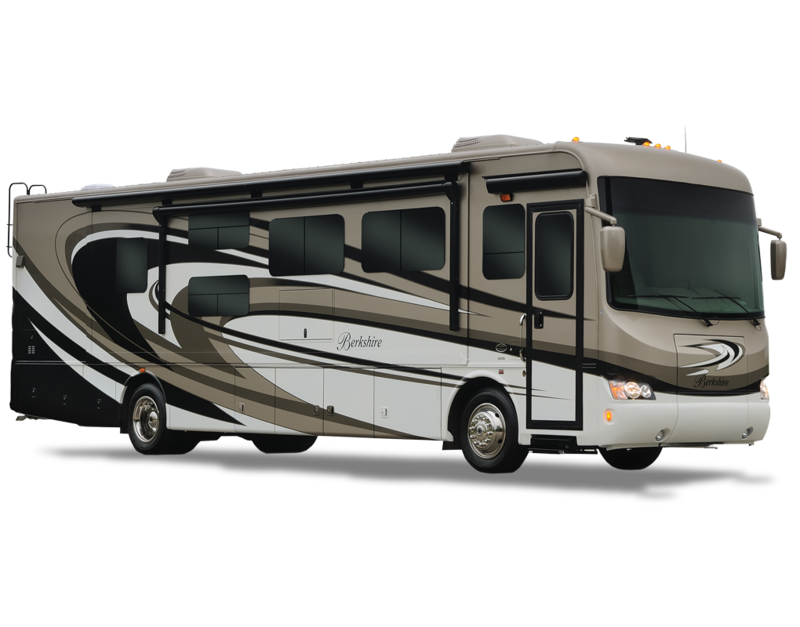 Alternatively, you can rent other RV vehicles to figure out what the best option is. 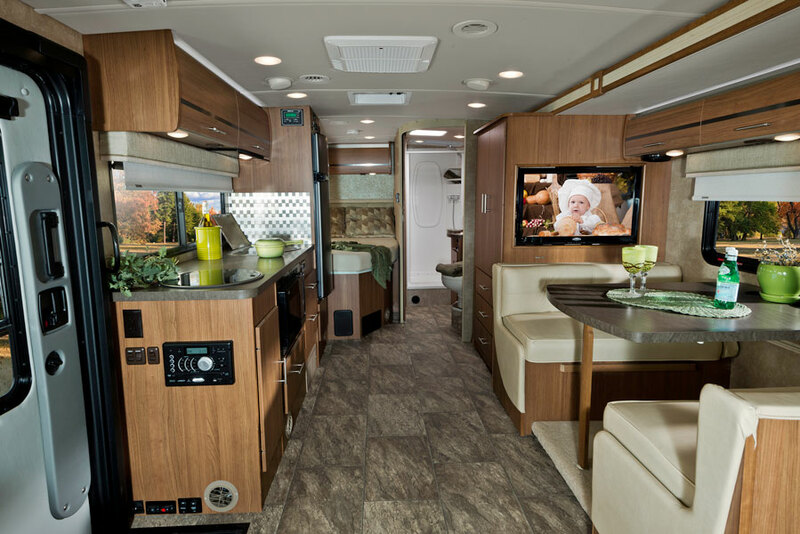 If you plan on travelling, you want the best RV for retirement travel. If you prefer camping trips, you will want to find the best camper for retirement or even the best house trailer for retirement. If you can find a great rent deal on an RV, and you can see if working out cheaper than buying your own, go for it. The best thing to do is always test the water first. Therefore, if renting isn’t for you, you have an idea of what you would want. Buying your first RV can be a stressful situation. You don’t want to buy the wrong one, you don’t want to pay a large amount for an RV that you don’t enjoy a week down the line. Therefore, you need to be heavily prepared when you go to buy an RV. 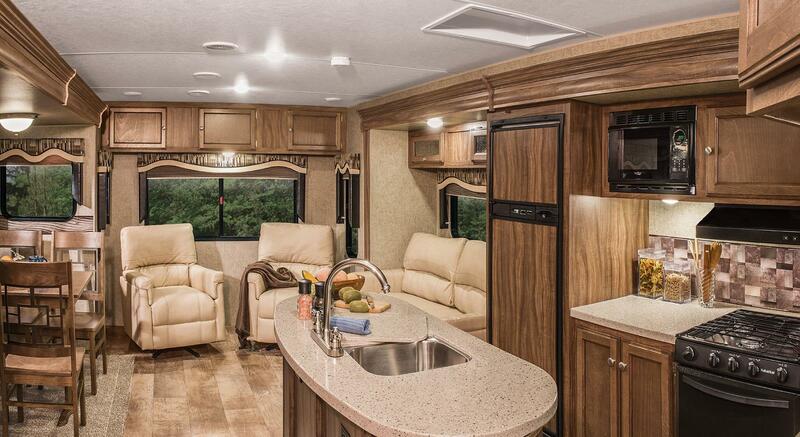 When you look for your RV, you want the best retirement RV possible. You want it to match your wants and needs. You want comfort, space, luxury etc. However, it all comes at a cost. It can take weeks of planning, looking at different models, talking to dealerships etc. but at the end of the day, you want the best. This is why we said above that renting an RV first would be ideal. 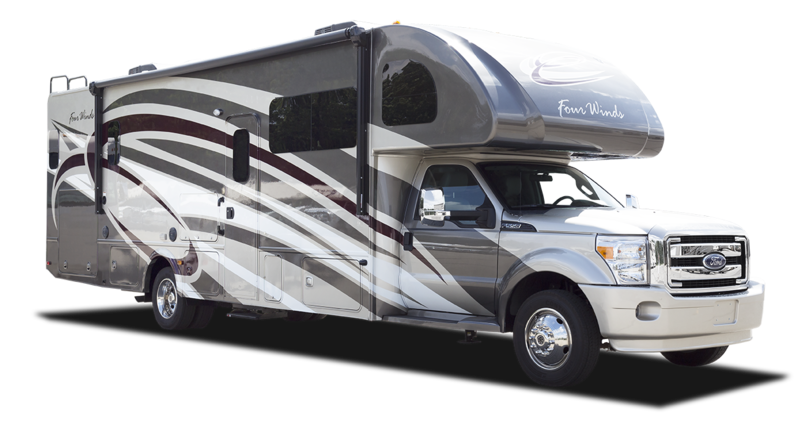 You can rent a couple, see what you like, get a feel for the RV and see what features you like and don’t like. From there, you can start compiling a list of things you want. Dealers will no doubt go to the end of the world and back to get you the RV of your dreams with every feature if possible. But always test the water before throwing money at it. Both buying and renting can be beneficial. It depends on your situation, what you are after and what you plan on doing. Small week long trips won’t require you to buy an RV. But you won’t want to rent an RV for a year long trip. It is surprising how many couples actually pack up and become full time RV travellers after retirement. It is a great lifestyle change and can really give retirees something to do and experience with their newly found spare time. Finding an RV can be tricky for a couple. Each partner will want something the other doesn’t and so on. However, there are many great options out there that you can both customise the way you like. In our opinion, one of the most classic, compact and stylish travel trailers for a retired couple is the Airstream – The Sport. It has the classic aluminium shell with the basic requirements inside to suit a couple. Not only that, but it can be customised; there are two layout options and two décor options. Below will be our top 7 picks for RV’s. 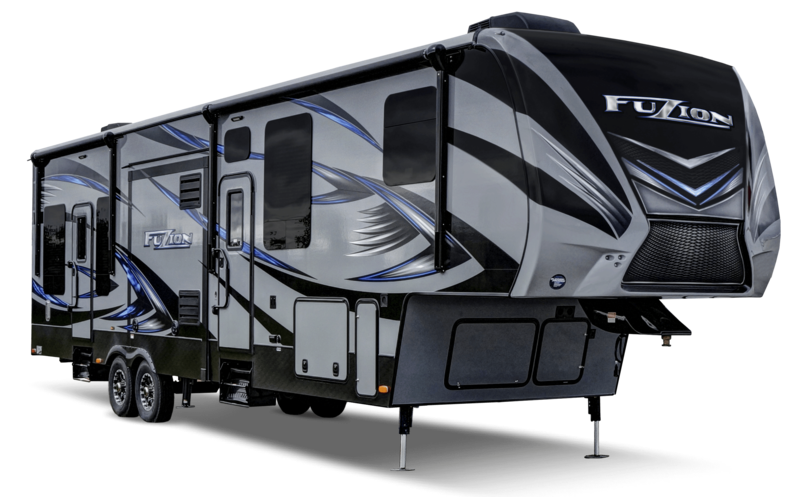 They are all going to range in price, there will be different class RV’s, different styles and the pros and cons of each model. 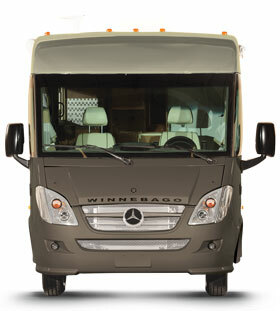 The Winnebago Via has become a bit more popular over the years due to its improving fuel economy and overall look. 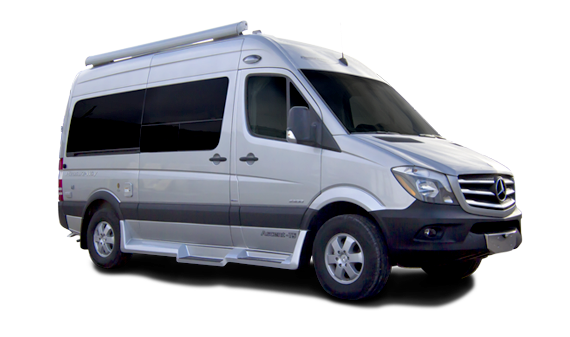 The RV itself is built on a Mercedes-Benz Sprinter Chassis and its truly a work of art. 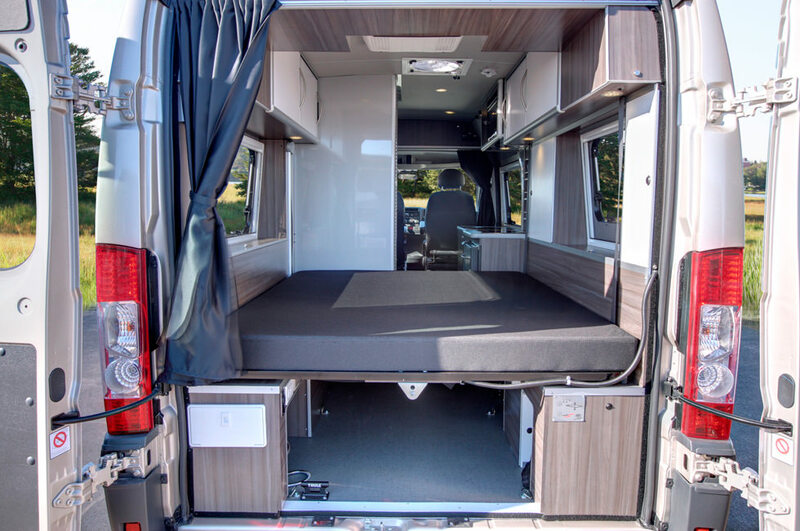 It includes some new innovations such as the Threshold Quiet RV door and the Flex bed system. 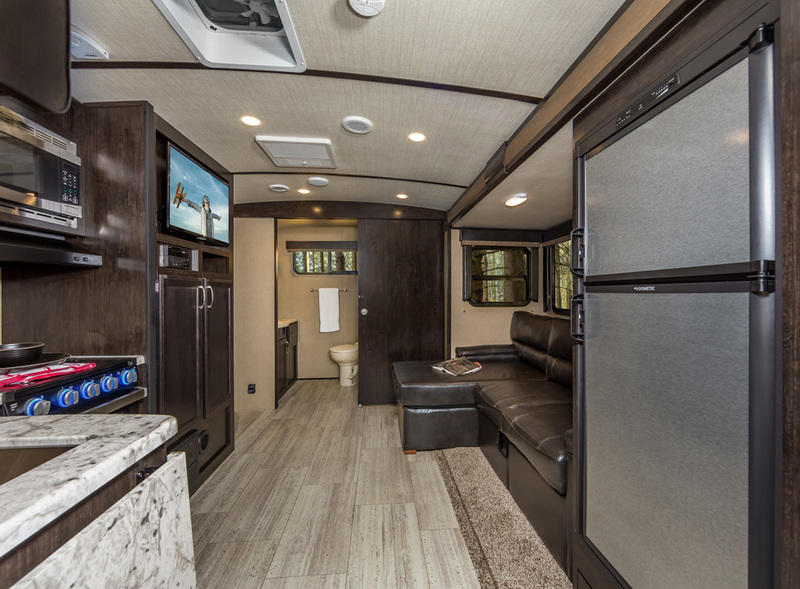 When picking your Winnebago Via, you have the choice of three floor plans that allow you to arrange the interior to suit your needs. 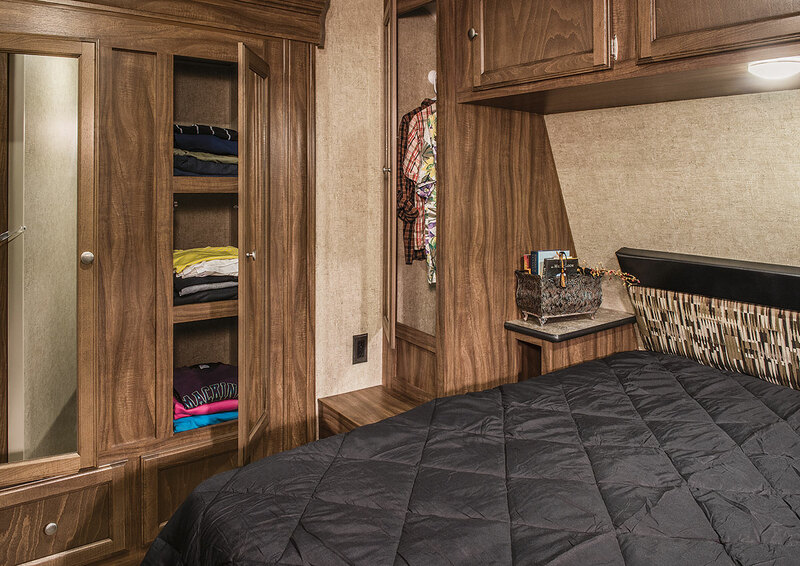 This includes being able to change any fabrics, wood and other materials inside the RV. 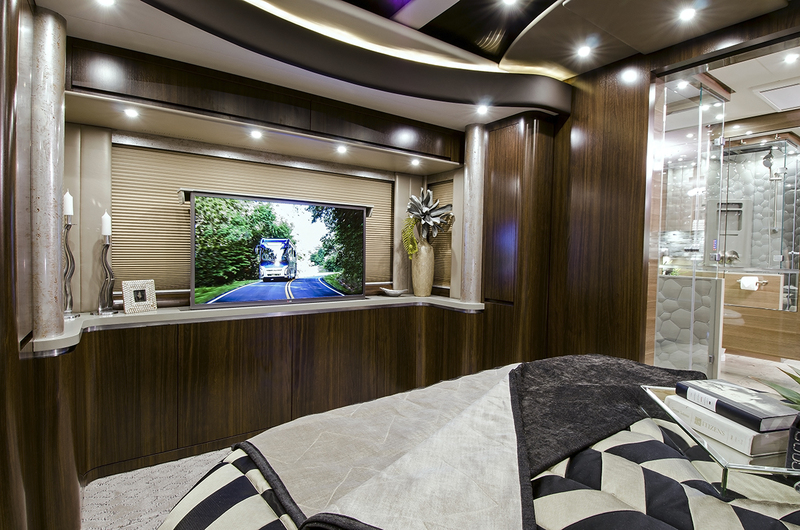 By the time you are finished, your Winnebago will be completely custom and unlike any other. The Thor Chateau sits on a Ford F-550 chassis and is powered by a powerful 6.7L V8 Turbo Diesel engine. This makes the Thor Chateau a beast that can easily keep up with standard vehicles. Not only that, but it can be customised the way you want. Fancy a different colour, a different interior décor, then they can do it. 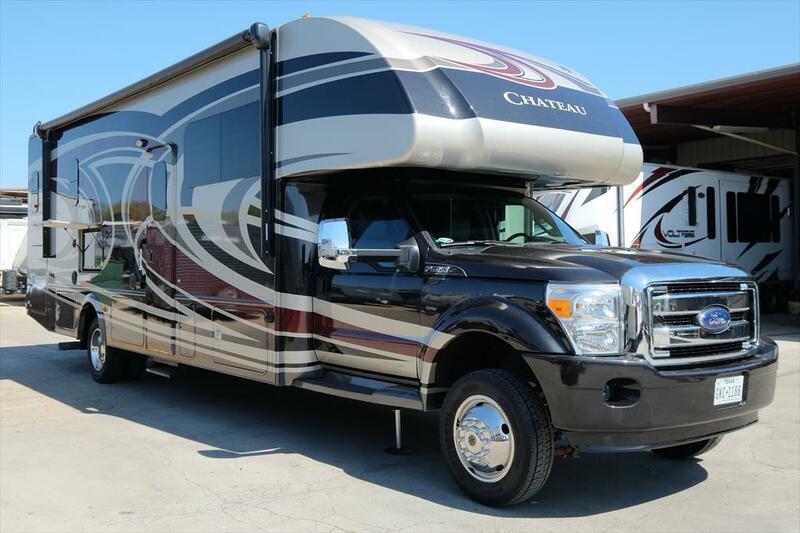 For a very reasonable price, the Thor Chateau can be your own personal RV with everything you ever wanted. There are two available floor plans that vary slightly but either one will easily suit your needs. The figure above is correct. The Newell Coaches are roughly $2 million to buy. 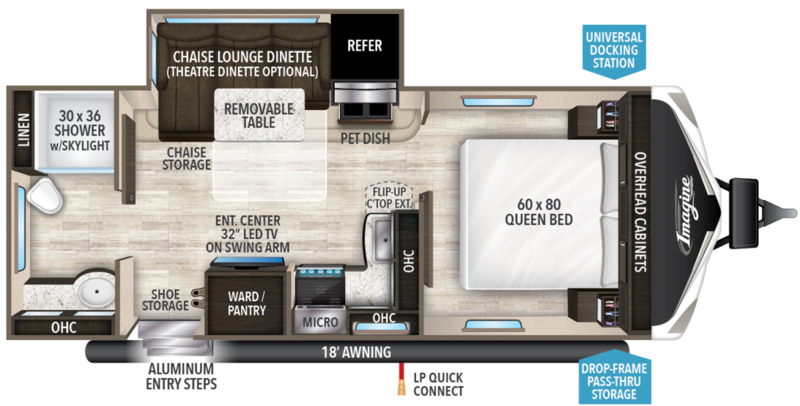 You are probably wondering why… The simple answer is, they are one of the most luxurious RV’s money can buy. 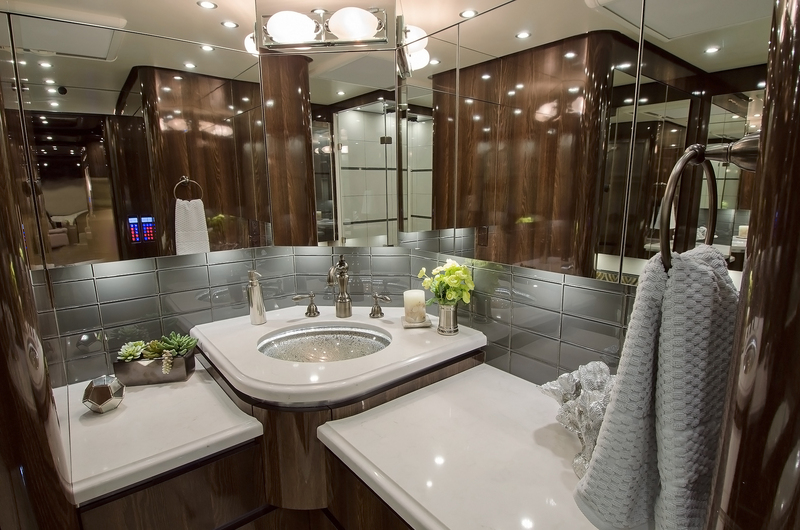 You can choose almost every single detail inside the Newell coach. Colours, fabrics, finishes, details, you name it, they can do it. Not only that, but compared to other Class A models, the Newell has a body and chassis built for its purpose. It doesn’t use a bus conversion but its own built chassis. This means that it has a smoother ride providing the best comfort. The purpose-built chassis also allows for better handling including a tighter turning circle. 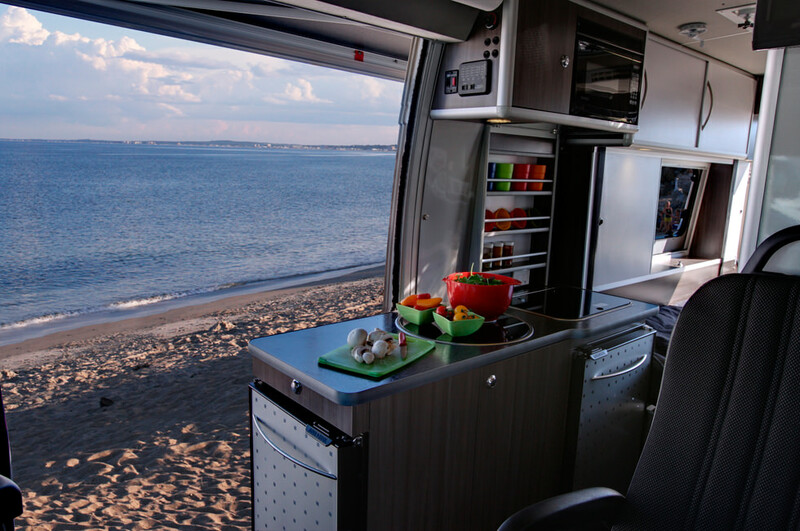 The S330IK is a travel trailer that is built with the user in mind. It is a very spacious and great for those retired and wanting to travel to a few locations yearly. 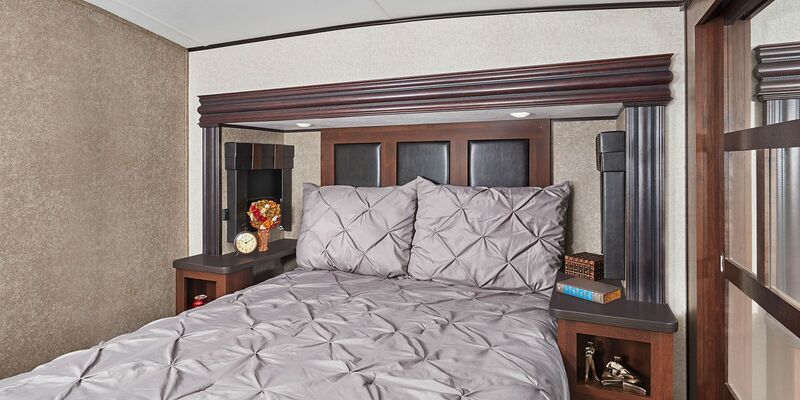 It has a few décor options and if you don’t like the S330IK floorplan, there are other models available. 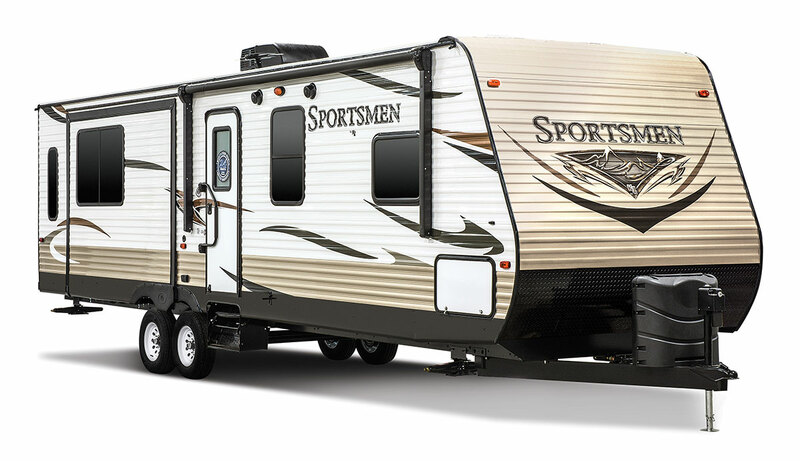 Overall, the Sportsmen S330IK is a well-built travel trailer with some great features. These include the 3/8” fully walk on roof decking, 3burner-cook top and a whole lot more. 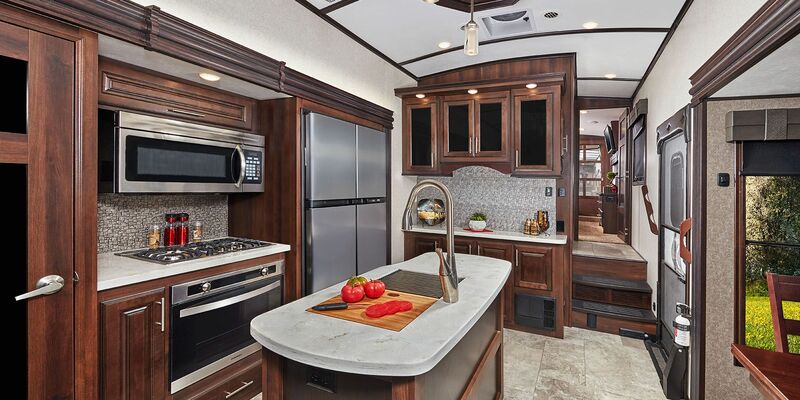 In our opinion, this is the best travel trailer for retired couples. The 2150RB is a travel-trailer made with you in mind. There are a ton of extras you can add and three additional packages that you can add on. The extra packages include items such as LED interior lighting, motion sensors, Bluetooth stereos etc. 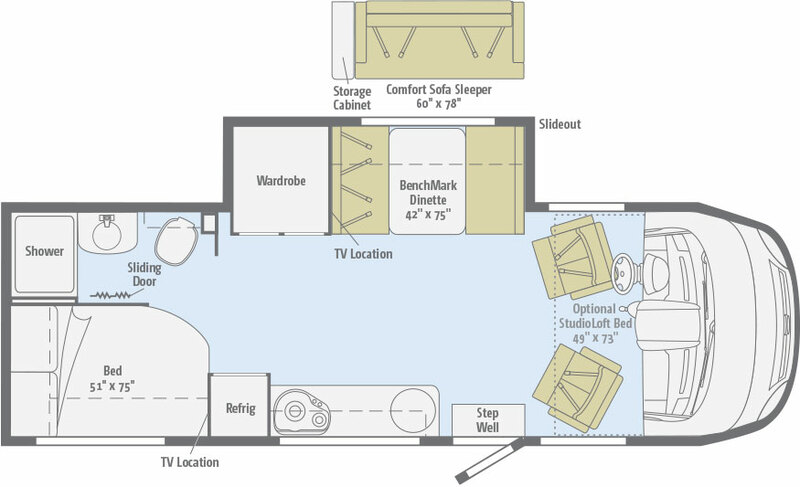 The floorplan is perfect for retired couples wanting to set up for a while. It has great storage options, a nice kitchen and is truly a work of art inside. If you were to choose the 2150RB, you would not be disappointed. 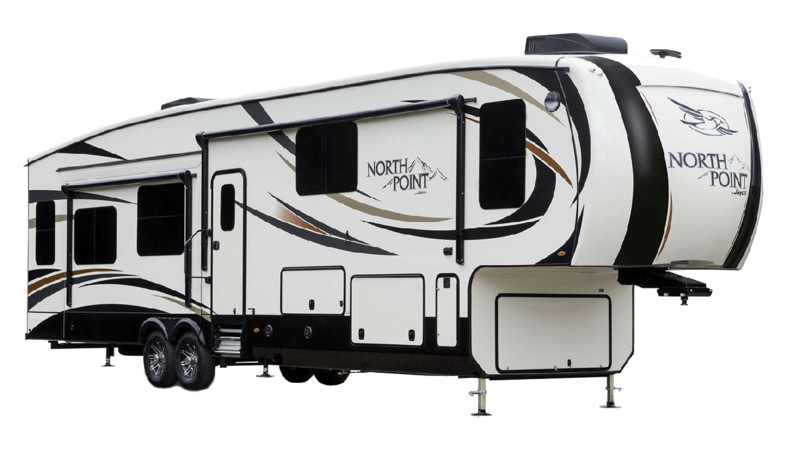 The Jayco North Point is one of the most luxury fifth wheels you can buy. 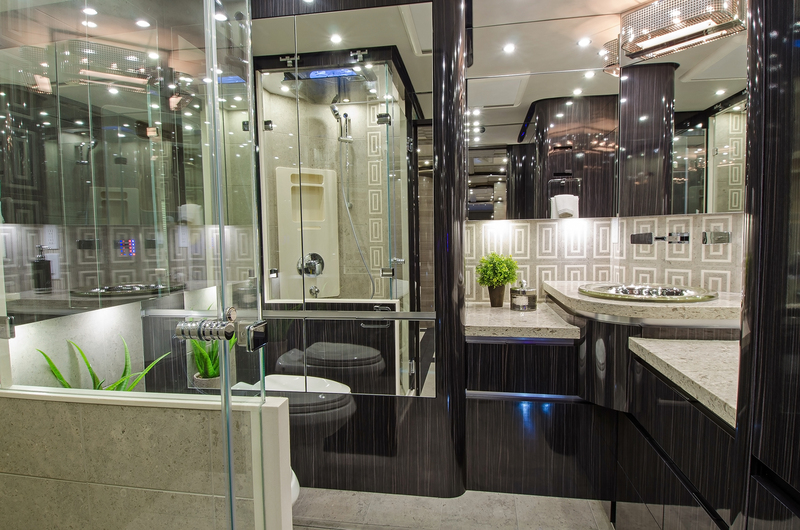 There are a ton of customisations you can do and Jayco pride themselves on providing its customers with luxury. Not only that but quality and safety are Jayco’s top priorities meaning you will receive the full 5-star package when purchasing the 2018 North Point fifth wheel. Choose from 9 different floorplans all designed with you in mind. 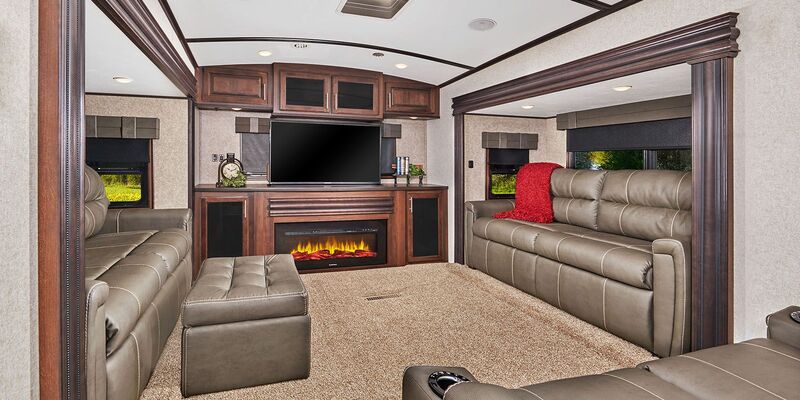 Once you have selected a floorplan, start configuring your fifth wheel the way you like it. Change the décor, add the optional extra’s etc. Want something simple, sleek and doesn’t require much? Then the XL21 is for you. 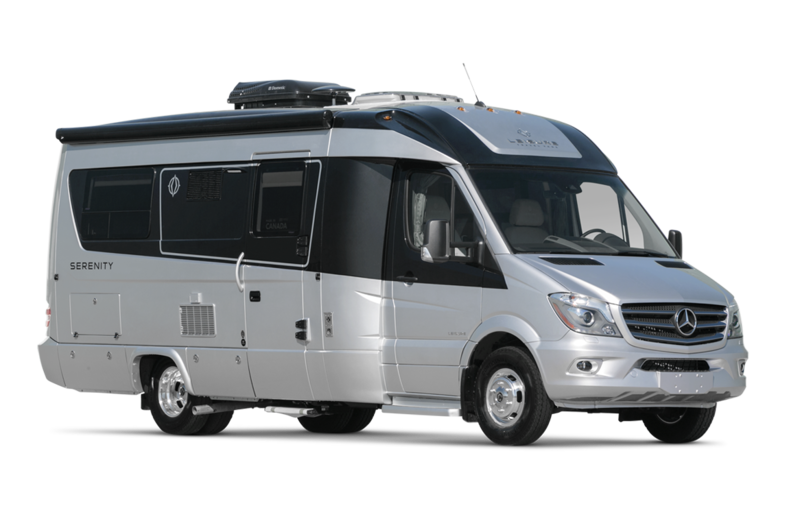 The Class B RV is built on a 280HP 3.6L pentastar engine that is well suited for the size and weight of the RV. It comes pre-built with ESC, air con, cruise control, keyless entry and more. Inside you will find a gorgeous, yet simple interior, a large counter. Not only that, but you have a 7ft^3 fridge, a large bed perfect for a retired couple, a retractable indoor shower and toilet. 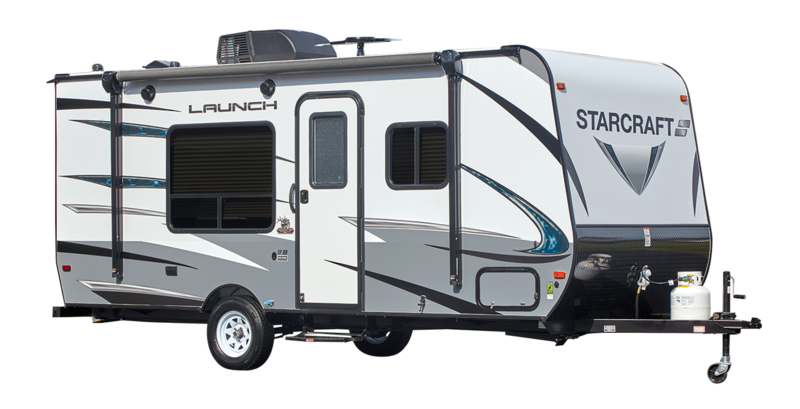 Overall, the XL21 is perfect for a retired couple who don’t require loads of flashy components and a crazy RV set up. It is simple, sleek and worth the price. Picking the best RV for retirement travel can be tricky as we mentioned above. Making sure that you are happy is the number one requirement. Don’t be tricked into buying any old RV as it won’t be what you want. Take your time, look online, watch videos on YouTube to see what certain models look like. Another tip is to visit a RV dealership. They will be happy to let you have a look around, look inside of RV’s and sometimes even test drive them. Just remember, the process of purchasing an RV can take weeks, months and even years of planning. So, don’t rush, take your time, pick what you want and have a happy retirement.